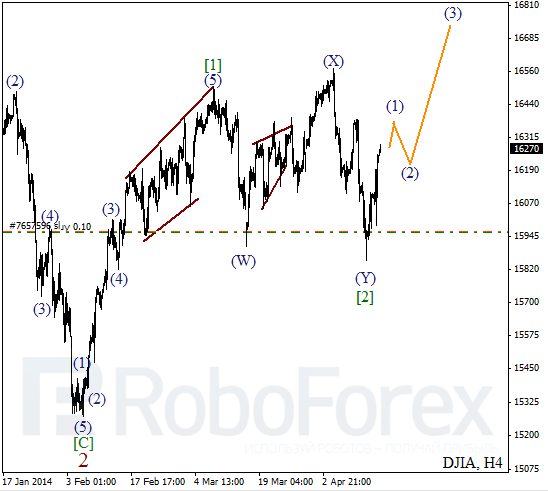 Probably, Index completed wave  in the form of double three pattern. On minor wave level, price is forming initial ascending impulse. Later price is expected to complete local correction and start growing up inside the third wave. More detailed wave structure is shown on H1 chart. Price is completing the third wave inside wave (1). Most likely, during the day price will form correction inside the fourth wave. Later instrument is expected to start new ascending movement inside wave 5 of (1). It looks like Oil is starting to form the third wave. 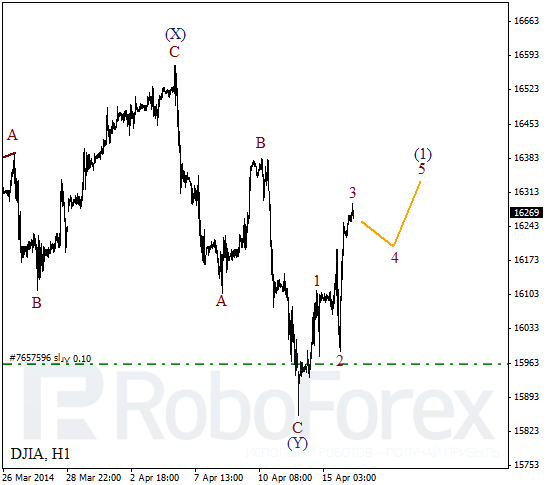 Earlier, price formed initial impulse inside wave 1 and then completed the second one as well. Critical level here is maximum of wave C of (Y). 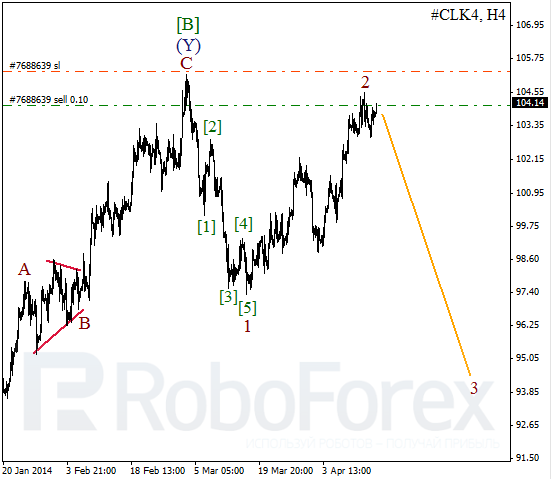 As we can see at the H1 chart, Oil completed wedge pattern inside wave (1). 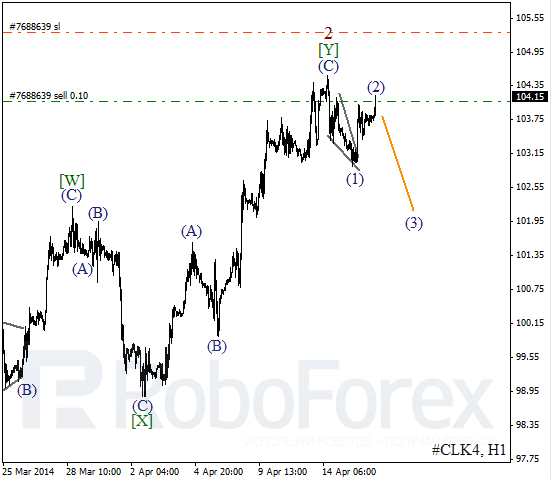 Probably, price also finished wave (2) and may start forming the third bearish wave quite soon. I’ll move stop into the black as soon as instrument starts falling down.